Place your IT Support in safe hands with Missing Link. Whether your IT network is accessed and located on-site or ‘in the cloud’, the Missing Link IT Support offering is a cost effective method for providing pro-active remote and on-site IT Support for all your business critical Managed Services, Applications, Hardware and Software. All of our support contracts are built on a modular level so your support will be unique to you, providing you with the bespoke support and SLA’s your IT infrastructure and critical systems require whilst ensuring you’re not paying for services you don’t require..
Our Support is available on a 24 x 7 basis, utilising the very latest in pro-active, remote monitoring software, you can be safe in the knowledge that your systems are being constantly monitored around the clock. Our highly qualified team of support desk engineers have one objective in mind, to make your life; as our client, easier by taking away your concerns about IT and replacing it with peace of mind that you are getting value from your IT and that it helps, not hinders your business. Missing Link have the in-house capability, infrastructure, systems and expertise to fully accommodate, support and manage all of your IT requirements under one fixed monthly payment, with no Capital expenditure requirement. . Missing Link can be your single ‘one-stop-shop’ for all your outsourced IT requirements as a business. At Missing Link we have the portfolio to fully support both your internal users of IT and your requirements from your IT for your clients. Speak to one of our Account Managers today about the many and varied ways we can do this for you. 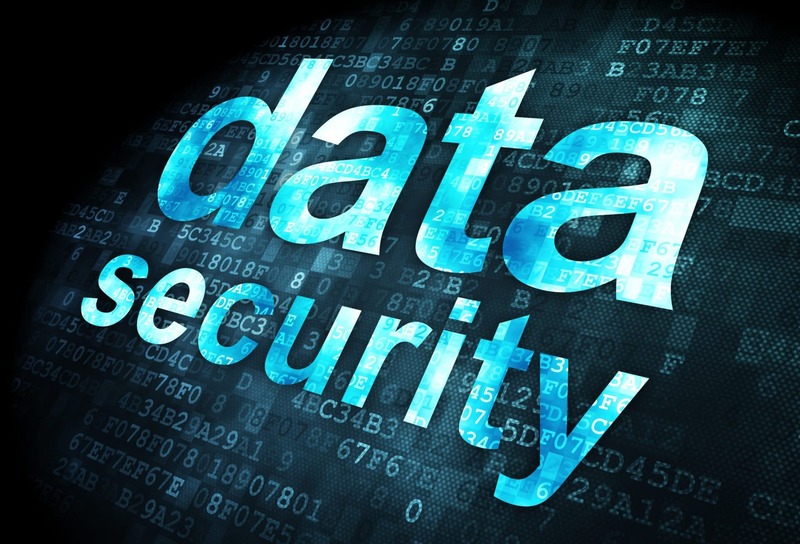 IT Security and Protection of your companies’ data is very big business. As your business grows, your IT infrastructure and data within it will also grow. All Businesses could be the victim of cyber fraud and network infiltrations without the right network security safeguards in place, this in turn could have a serious impact on your business if you’re targeted. .
An infiltration on your business systems could lead to significant downtime whilst you spend valuable time trying to recover valuable customer and financial data..
Cyber threats have increased in recent times, and even more difficult to identify and therefore protect your business systems from them. The time taken to recover your data and/or money to get the business up and running again could be fatal. Missing Link can help you avoid all of this, speak to one of our dedicated professionals today. Businesses are ever more reliant on their IT infrastructure as a reliable resource to be the engine for future growth. Missing Link can monitor and manage your IT to ensure seamless results and minimal downtime for you, our client. . Missing Link can keep an ever watchful eye on your IT infrastructure on a pro-active basis to maintain and safeguard your business critical systems. Our 24/7/365 professional monitoring utilities provides in-depth reporting on all your hardware and software assets and activities, ensuring that the money spent on your IT systems is a productive long term investment and downtime is kept to a minimum. Missing Link’s Managed Service Portfolio is designed to meet your own unique needs as a business, with every service presented and priced at a granular level, enabling any client to ‘pick and mix’ the services they require from their outsourced IT Services company, the result being a tailor-made contract to fit the specific needs of your business. Whether you’re simply looking for a Managed E-mail system, or generic IT Support that includes on-site hardware break-fix where necessary, or to ensure all of your bespoke systems and applications are secure and monitored, the Missing Link Managed Service portfolio will meet your needs. Our Account Managers will ensure you’re not paying for services you don’t need, making your solution the right for for your business. Virtualisation is a relatively new, yet tried and tested method of getting more out of your physical IT infrastructure, whether your Servers be on or off-site and accessed remotely, virtualisation allows companies to consolidate and improve efficiency of their server infrastructure by increasing and utilising a physical Servers capability.. Missing Link are fully capable to assist you with this, having proven expertise in both VMWare and Hyper V Technologies as the two market leaders in virtualisation, Missing Link have delivered many virtualisation solutions to our clients and helped demonstrate significant cost savings over a given period. Get more our of your IT and speak to us about Virtualisation. Downtime inflicted on your business as a result of your IT systems can have a negative impact in so many ways. As a company, if you have ever experienced downtime, or indeed calculated the ‘real-time cost’ of losing your systems you will know how serious these implications can be. For some businesses, losing your critical systems for even one hour could potentially cost thousands of pounds in lost revenue. Preventing significant downtime for your business doesn’t just stop at an effective off-site backup solution; it must also incorporate a rapid restoration plan. Missing Link have proven experience in this, and have heavily invested in ‘best of breed’ IT systems and solutions to be able to restore your system remotely, often within minutes. Effective Business Continuity is another essential part of your unique Disaster Recovery Plan. Business continuity should be the whole objective in any DR plan. At Missing Link, we have the on-site Datacentre level capability to restore your systems data in our virtual environment in minutes. Taking your data off-site in a safe protected fashion is one thing, but the ability to take that off-site data and restore it into a working off-site Server infrastructure, accessible to your business, as quickly as possible is paramount. The world of compliance in modern IT is a complicated one. At Missing Link we have dedicated experts in IT compliance; be that Microsoft, or any other vendor, Missing Link can assist. Reduce the effort, time and cost of assessing your systems throughout your network. Find and prioritise configuration lapses to stay in continuous compliance, share configuration data with your applications to centralise information and assign tasks accordingly, in the confidence you’re compliant. Missing Link have many accreditations, and vast experience in even more. Missing Link are Microsoft, HP and Dell accredited, amongst others. All of the products and services utilised and sold by Missing Link have the capability to accommodate multi-site companies, our bespoke software development and remote support offerings in particular very much lend themselves to customers with more than a single site. Our multisite customers often ask us to provide a solution to connect those sites and enable the sharing of data, documents and applications. When each office has its own data, accounts, email and IT processes for maintaining customer details, it’s all too easy for working practices to become confusing and disorganised. How and from where we work is a constantly moving target. Employee’s are increasingly on the move, leaving stationary points of security and working from wherever their business needs them to. As our business world extends to colleagues across towns, cities and countries a, we constantly seek ways to connect and collaborate effectively and efficiently. Remote working is the now, and the future; being able to access your IT systems securely, from anywhere with an internet connection is the requirement for so many individuals and businesses of their IT in this modern age and Missing Link have the solutions and Datacentre infrastructure to provide you with the perfect secure, remote working solution. Missing Link are a third party ‘value-added’ IT Solutions company whose aim it is to deliver first class solutions directly to you, our client. The solutions deployed by Missing Link are all tried and tested, using the very latest in ‘best of breed’ technology, ensuring your business enjoys the benefit of the cutting edge Technology invested in by Missing Link, at a fraction of the price. All of our solutions are deployed with in-house expertise, with the necessary accreditations to back this up. Our pro-active Support Services are available 24 x 7 and we have remote monitoring tools to keep us, and your business one step ahead of the game. ‘Fibre-to-the-Cabinet’ is an increasingly common and favoured option for many UK businesses as coverage increases over the country, FTTC tends to be able to provide speeds that can support working in the cloud, either in part (via an on-line backup or Hosted Exchange solution for example) right through to a full IaaS (Infrastructure as a Service) solution. .
FTTC is also proving very popular given the price point and upload/download speeds available. FTTC would tend to be sufficient connectivity for all hosted, cloud & VoIP options to remain open to a typical SME. Speak to your Account Manager or call us to find out whether Fibre is available in your area. ADSL is the most widely available connectivity option in the UK. More than 99% of the UK population can access ADSL (due to the low cost) and so ADSL remains the favoured connectivity option for many businesses. However, the speed and connectivity you’ll experience has many variables, and with the IT Market constantly increasing the number of products and services available through good connectivity, sometimes ADSL may not be sufficient for your business needs. For this reason it is worth reviewing your options at least once a year. Speed issues mainly arise from the distance from the local telephone exchange, quality of the copper home line, peak times & other intangibles such as electrical interference from local sources. Missing Link can assist you in assessing as to whether your ADSL speed would be suitable to utilise Cloud Services in some shape or form. The term ‘4G’ (Fourth Generation) refers to mobile connectivity’s latest high-speed offering; connecting to the internet faster than ever before. 4G launched in the UK in 2012 and will soon take over from 3G as the leading technology in mobile data. Missing Link have the relationships and in-house expertise to advise our clients on the most efficient and cost effective solutions available from vendors to best utilise the latest in mobile data technology. FTTM (Fibre to the Mast) delivers superfast internet speeds with minimal shared bandwidth. It is a faster, reliable, and significantly cheaper alternative to fibre leased lines. For high-demand users who require superfast speeds, FTTM can provide 100Mbps download (which can be upgraded to even faster speeds if required) and 10Mbs of upload speed. 5-10Mbps speeds can be provided for users that do not need the increased speed and bandwidth. The FTTM service is ideal for businesses that are quite some distance away from a local cabinet and need the speed to be able to work more efficiently. Speak to your Account Manager or contact us for further details. Ethernet is the most widely installed Local Area Network (LAN) Technology. Ethernet is best described as ‘how networked devices can format data for transmission to other network devices on the same network segment, and how to put that data out on the network connection’. Ethernet defines two units of transmission, packet and frame. The frame includes not just the “payload” of data being transmitted but also addressing information identifying the physical “Media Access Control” (MAC) addresses of both sender and receiver, VLAN tagging and quality of service information, and error-correction information to detect problems in transmission. Each frame is wrapped in a packet, which affixes several bytes of information used in establishing the connection and marking where the frame starts. GEA connectivity cleverly combines both existing broadband and Ethernet infrastructures to provide a cost effective, reliable and robust connectivity solution. Just like fibre broadband, GEA utilises the existing copper infrastructure between your premises, the closest cabinet and the exchange and also offers you a dedicated and uncontended Ethernet based connectivity solution, offering speeds of up to 20Mbps, along with minimal installation costs and lead times. Ethernet First Mile (EFM) is a copper based Ethernet connectivity solution that is highly robust and reliable, providing high bandwidth connections of up to 35Mbps for your business. EFM is ideal for businesses that require dedicated, permanently available bandwidth connectivity with cost in mind, more cost effective than fibre based connectivity services, EFM is ideal for small businesses with sophisticated requirements such as cloud services, VoIP, centralisation of systems and servers, high email usage or multi-site purposes. EFM is compatible with other solutions such as MPLS, VoIP and Cloud, which all require a higher speed of connectivity and, when positioned correctly offers a real cost benefit when compared to leased lines, also with significantly shorter installation times. A robust and reliable internet connection can be the key to a host of new services available in the IT marketplace. Cloud services such as VoIP, Office 365 are only available via a secure, robust and reliable internet connection in addition to many backup and DR options. Missing Link can help you obtain the internet connectivity you need to be able to access the IT services that can help drive your business. The sub-menu’s below itemise the various connectivity options that Missing Link can offer our clients. The options are many and varied and Geography, required speeds, business processes and risk of downtime are all aspects that would need to be addressed in ensuring the connectivity you get is right for your business and budget. Missing Link combines internal expertise with external relationships to provide the very best Telephone Solutions on the market. We have relationships with most of the major hardware vendors and the expertise in-house to not only size and cost your solution, but manage and maintain it once installed. We have the expertise to consult with you; cross checking your connectivity, available up and download speeds to match that the right solution for you. All Missing Link Telephony solutions are feature rich and scalable. Missing Link’s VoIP telephony solutions are packaged with cost, scalability, size and features at the forefront of our thinking. Our VoIP systems combine sophisticated functionality and easy installation with cost-effective pricing. Using your existing IP network, VOiP can offer you all the functionality of a traditional telephony system / PBX with so many more features and benefits; such as conferencing, collaboration and networking; increasing the productivity and professionalism of the collaboration within any given business. Contact our in-house Telephony advisor for an informal chat today. Internal expertise and productive and healthy external relationships with vendors combine to provide a great buying platform for your mobile data requirements. Providing the very best in Tariffs from EE and O2 amongst other providers. . Whether you’re looking at options in relation to getting a more cost effective contract going forward or you’re simply unhappy with the performance of your current mobile devices, Missing Link are in a position to help. Speak to one of our informed team today. At Missing Link, we have the right external relationships in place with key vendors in mobile handsets and devices. Should there be a particular phone or device you would like to have, all options are open with Missing Link. Speak to our internal Telephony solution advisor to understand more about our latest offerings in collaboration with the best tariffs to suit your business needs. Want the latest handset or mobile device? Talk to Missing Link. Our expertise in the marketplace combined with the very latest in asset inventory and monitoring software enables Missing Link to help your company manage and utilise all your handheld ands mobile devices. Whether you’re looking for a permission based administrator system or whether you want your mobile workforce all on the same devices with the same features, Missing Link can assist you. State of the Art Communications is at the heart of every business, and making the most of the connectivity available to your business is a modern day ‘must do’. Ensuring direct ROI (Return of Investment) is an exercise most companies will do before upgrading their connectivity; there is so much modern IT can offer, or can’t, without robust, fast and secure internet connection. Whether that be the best, VoIP based or/and and most cost effective Telephone Solution, be that land-line or mobile technology, scalability of solution, cost and speed are the cornerstones of any investment into communications for your businesses IT. A dedicated cloud server provided by Missing Link could prove more cost effective and increase your uptime as it would be off-site (avoiding all those local costs that come with housing a Server) and managed by professionals for a fixed monthly fee, allowing you to get on with running your own business. Here at Missing Link, we work very closely with businesses to recommend the best model for your business; we build, design and implement platforms which may be Private, Public or Hybrid solutions, wholly dependent on your business objectives and budgets. No more concerns over licensing, lack of capacity, replacing the faulty hard disk and the potential downtime that may come with all of the above, a Cloud Server provided by Missing Link is managed by experts 24 x 7 x 365. Missing Link’s cloud backup is daily, automated, off-site and easy to use, manage and install. Missing Link deliver their Cloud backup offering as an entirely managed service with built in monitoring, management and administration, leaving you with the peace of mind to concentrate entirely on the running of your own business. It is reported that 80% of businesses affected by a major data loss incident either never re-open, or close within 18 months. Getting your data off-site on a daily basis also can help limit human error, and, in the event of a disaster on-site, you have the peace of mind of knowing your data isn’t on-site (only) too. Missing Link Hosted desktops give you all the advantages of having sophisticated on-premise user infrastructure but at a greatly reduced cost, hosted and managed remotely costed at a fixed monthly fee. Additional features, software and capacity can very quickly and easily be added so you will only pay for what you use. Hosted Desktops are accessible from anywhere no matter what device you are using whether it be a laptop, PC, mobile phone or tablet. You can log onto your desktop and access your device, applications and data run in our secure data centres as opposed to your local equipment. All you need is a secure internet connection. It may be the case that your connectivity is adequate enough to consider the merits of having your Email system hosted and managed off-site by a third party, therefore avoiding all the usual local costs, complications and time spent by your business managing any issues that may arise from an on-site Exchange solution as a result. Missing Link can offer a Microsoft Hosted Exchange, which would enable us to look after your Email system on your behalf. It would be hosted, managed and pro-actively supported 24 x 7 x 365 off-site by Missing Link. As the customer you would access this professionally managed system via your secure internet connection, and with a fixed monthly ‘cost per user’ mailbox. Take all that local pain away with your Email system and have Missing Link host and maintain it on your behalf. Any upgrades and licensing issues would be pro-actively managed by us and included within your monthly cost. Microsoft Office 365 is the latest ‘Office suite’ product from Microsoft. It offers all the usual applications such as Excel and Word and comes with some additional features too, and Emails all built in to one, web based product. This latest offering from Microsoft is in keeping with the cloud based product set currently flooding the IT Marketplace. Although this offering is available direct from Microsoft, Missing Link would always recommended that such a solution be implemented and managed by professionals, and here at Missing Link, this is what we do. Cloud Services is the generic term for the latest alternative to a traditional on-site IT Server infrastructure. Although the Technology itself isn’t that new, affordability and availability of Cloud services as a valid alternative to on-site IT is now very much at a price point that makes it a viable option in the UK SME Space. Missing Link can install, manage, support and advise on every aspect of the cloud, demonstrating clear ROI (Return of Investment) where possible and providing clarity around the cloud options available to you and your business. Missing Link has a proven, ‘best-of-breed’ co-location model that can be deployed for any cloud related products or services; from Hosted Exchange right through to a full IaaS (Infrastructure as a Service) solution. Take away the hassle and costs that come with an on-site IT solution and let Missing Link professionally manage your IT off-site, leaving you to get on with running your business. Is your company already in the cloud? Are you looking to improve your IT experience but save some money? Here at Missing Link we have all the in-house expertise and external relationships to assist you in migrating your existing Datacentre infrastructure (applications, software, systems and data) over to the Missing Link Datacentre and show direct ROI (Return of Investment) as a result. Speak to Missing Link about your current Datacentre costs and have an open conversation with us about how we would deploy your off-site requirement and save you more money too. Missing Link has taken ownership of our very own Datacentre so to adequately accommodate all of our customers off-site requirements. Your data is housed locally, backed up and replicated and managed around the clock by dedicated experts, all for one fixed monthly fee. Take the pain of housing your own IT away and let Missing Link do that on your behalf. Missing Link have Datacentre hosting capability and this can be accessed on many levels. Whether you’re looking for a hosted Telephone Solution, or perhaps for Missing Link to solely host your Emails, or maybe you are looking for a full IaaS (Infrastructure as a Service) solution, Missing Link have the accreditations and expertise to assist you. Taking your IT off-site and to opt to allow IT Professionals to manage all or part of your IT requirement takes local ‘pain’ and cost away from you. Any hosted service provided by Missing Link will mean that your solution is professionally supported 24 x 7 x 365 by IT experts, patches and upgrades over the course of your contract will be included in your fixed monthly fee, as will any licensing issues and costs that may arise. trouble free IT from Missing Link. Numerous UK businesses have to deal with cyber fraud and network attacks that can result in loss of critical data impacting seriously on the business with heavy financial losses occurring. Missing Link ensures safety and security by stopping threats at the source before they can enter your network. Denial of Service attacks, Phishing, email attachments or embedded hyperlinks and thousands of clandestine cyber activities happen on a daily basis and have grown dramatically recently. Planning and pre-empting unwanted attacks is critical. 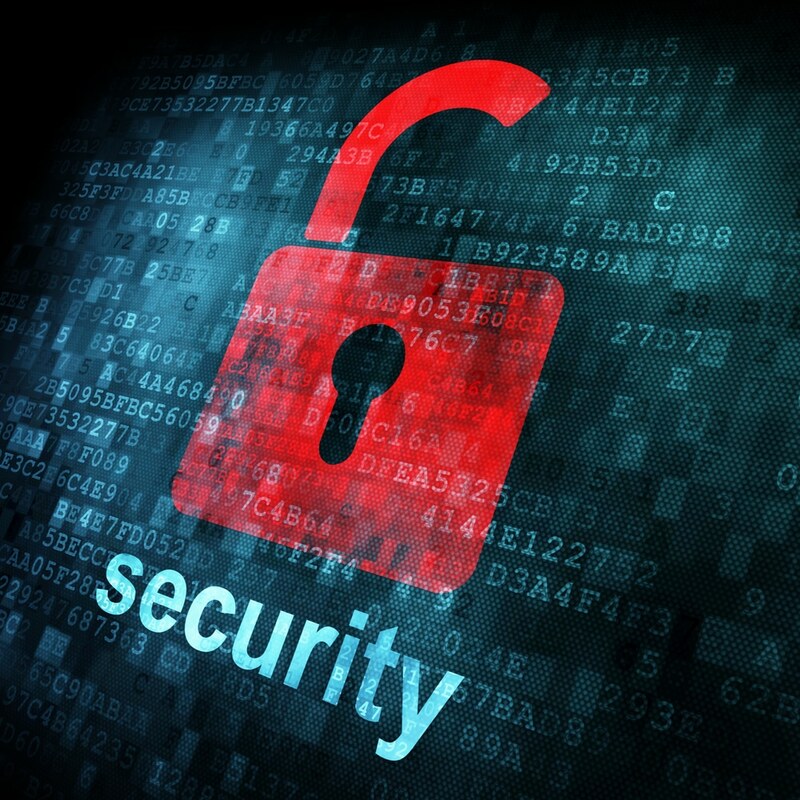 Our thorough approach ensures that your IT systems are kept free from unwanted cyber-traffic. We ensure your critical IT systems are safe by deploying the very best networking and security solutions approved by the IT industry. A NGFW is an absolute must-have if you are to be made aware of new threats on the horizon and the ability to stop them doing damage to your IT infrastructure. Missing Link can provide a range of NGFW devices alongside a monthly Safe & Secure managed security bundle that will keep your network unyielding to outside cyber hazards. Safe & Secure is the 'all-in-one' network protection, using proven technologies to give steadfast protection: Gateway anti-virus/anti-spyware, intrusion prevention, application control, URL blocking, Network Address Translation with firmware updates and round the clock monitoring and assistance. A one stop shop solution means an array of utilities are on-hand as and when required to make it as simple and rapid as possible for your business to stay protected. Missing Link provide a full Vulnerability Management Package in Security Metrics and Qualys VM. This is a cloud service that gives you immediate, global visibility into where your IT systems might be vulnerable to the latest Internet threats and how to protect them. It helps you to continuously secure your IT infrastructure and comply with internal policies and external regulations. The increasing complexity and stealth of cyber-threats means a more effective and fully thought out approach is needed to secure the business network. Bradley Hall Trading Estate, Wigan, WN6 0XQ.